Hallett styling and timeless elegance have never been more evident. 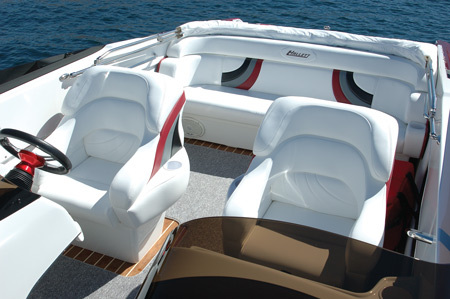 Classic yet contemporary, the 255-S is a boat that will never go out of date. Unquestionably the ideal family sportboat, now available in three award winning models, mid-cabin/bowrider, walk-thru bowrider or traditional closed deck. Each is an award winner. Pick any one, it’s the right boat for virtually every use and occasion. Approx. Weight: 3780 lbs. approx. Hallett does bowriders right. 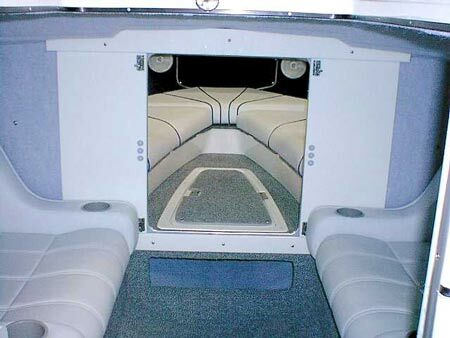 Plenty of storage, in-floor ski locker, teak and holly flooring is standard and the finest upholstery in the marine industry. Want a place to get in out of the weather (hot or cold)? This surprisingly spacious mid-cabin is the ideal escape. 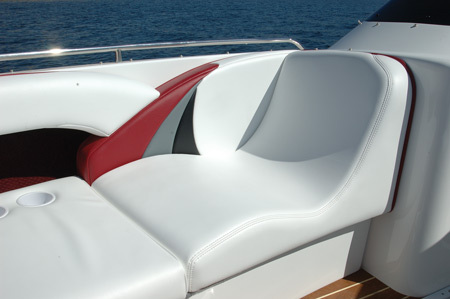 Comfortable seating and convenient/functional storage module with counter top access. When it’s time to do a cockpit that’s family-friendly, Hallett is far ahead of the rest. No tight quarters here. Just plenty of room to sit-back and relax in style. 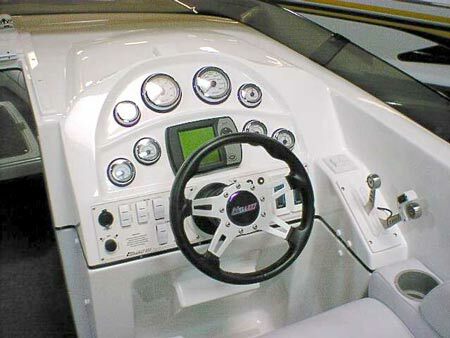 Hallett offers you a choice for instrumentation, either traditional analog gauges or the optional digital SmartCraft Vessel View from Mercury Marine, a complete data center providing boaters with a wide array of engine and performance information.